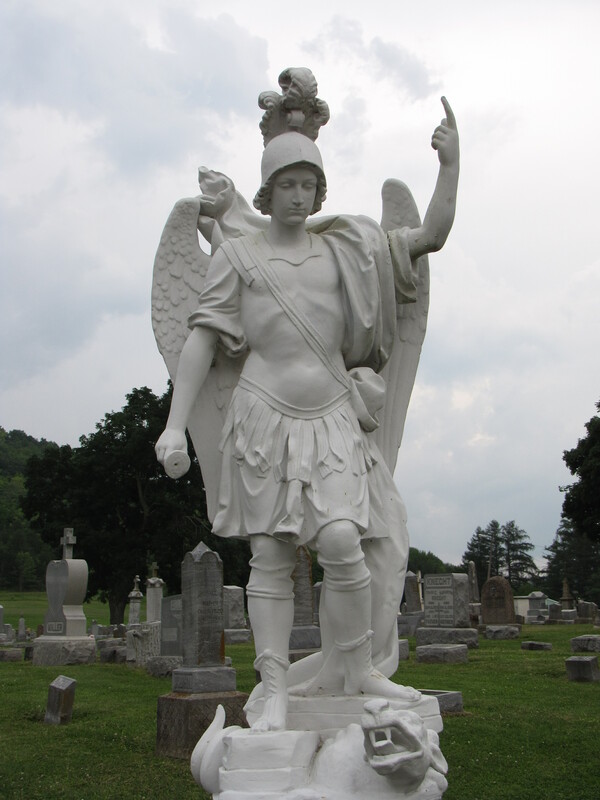 St. Michael’s Cemetery in Brookville, Indiana, features two sculptures of St. Michael. 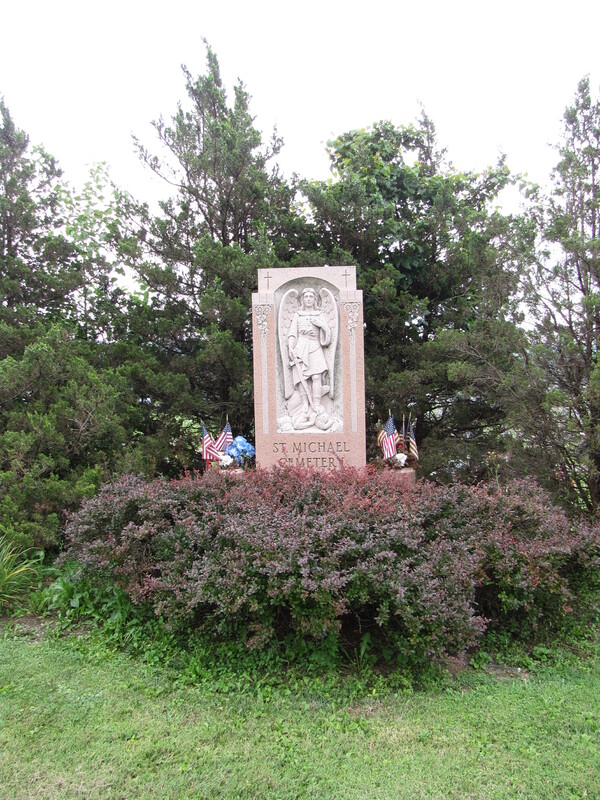 The deep bas-relief statue at the entrance of the cemetery is made of a polished and unpolished red granite giving the statue a duo-tone effect. Here St. Michael stands on the back of the devil himself who is holding his head in agony. This statue represents the triumph of good over evil. The statue at the rear entrance is painted stone. 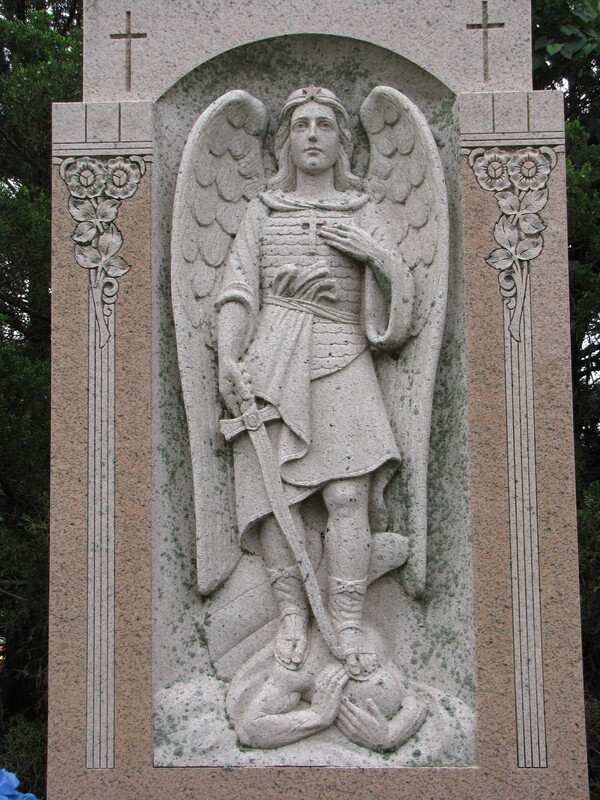 Both statues depict St. Michael ready with sword. This sculpture shows Him wearing a plumed helmet, and an armor breastplate, his sword blade broken off. Here he is standing on a dragon representing Satan. Again, this statue symbolizes good over evil. St. Michael points to the Heavens to show the source of victory. 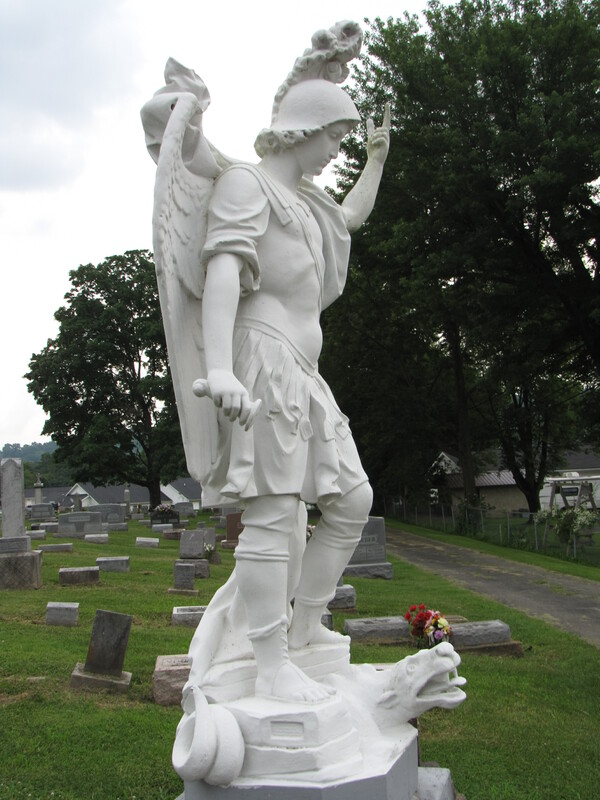 St. Michael is a favorite found in many Catholic cemeteries. Only the Archangel Michael, one of three angels mentioned by name in the Bible, is clothed in armor. The sword he carries represents a cross but also a weapon in his war against the devil’s warriors. Please would you contact me with an email address for private conversation?